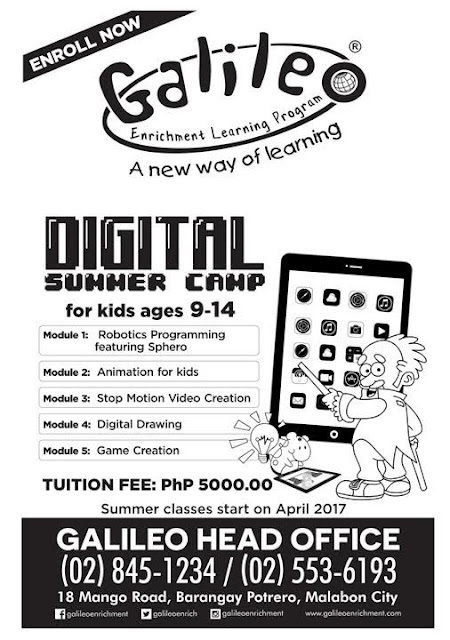 What better way for kids to spend summer is by attending workshops to learn new things and develop or enhance hidden talents and skills. 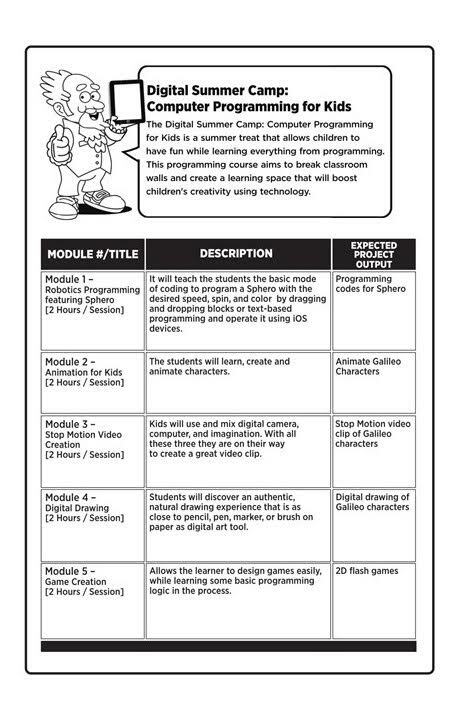 When I was a kid, I have attended quite a lot of summer workshops too - in Art, Computer, Swimming, etc. It's the best way to make your summer productive and fun too. Power Mac Center and Galileo Enrichment Learning Program will hold Digital Summer Workshop 2107 for kids happening on April 17 to May 26, 2017. On their 3rd year, the series of workshop comes with an exciting mix of digital and non-digital courses sharing the same commitment of crafting programs that will allow kids to explore and experience the wonders of digital learning. 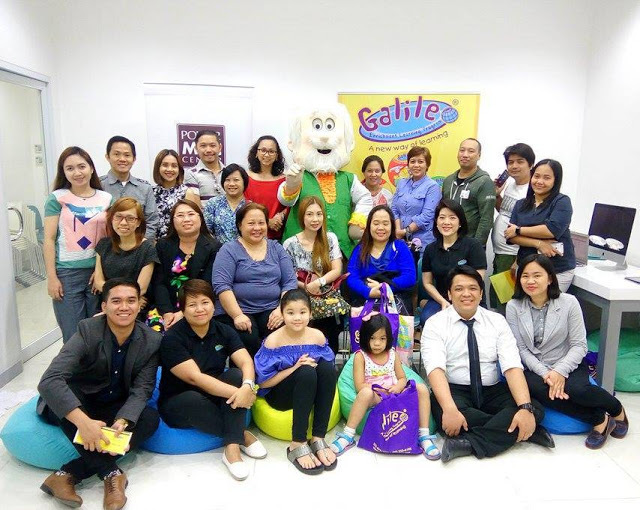 Parents can have a wide array of choices for their children to develop different types of intelligences. 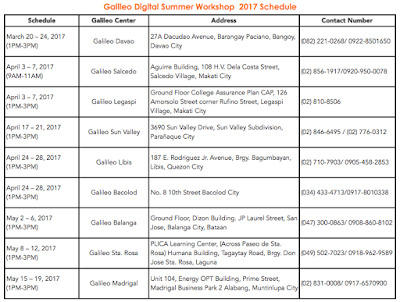 I was privileged to be invited to experience some activities first-hand during the launch of the Digital Summer Workshop. I had fun learning new things and I'm sure kids will love it. 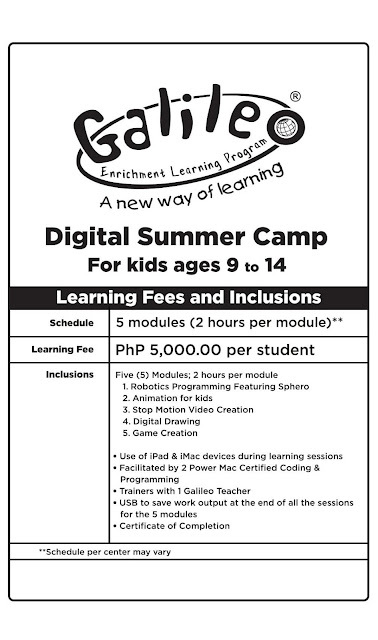 The Digital Course Programs will be held at Power Mac Center at Trinoma and Greenbelt 3 branches only. 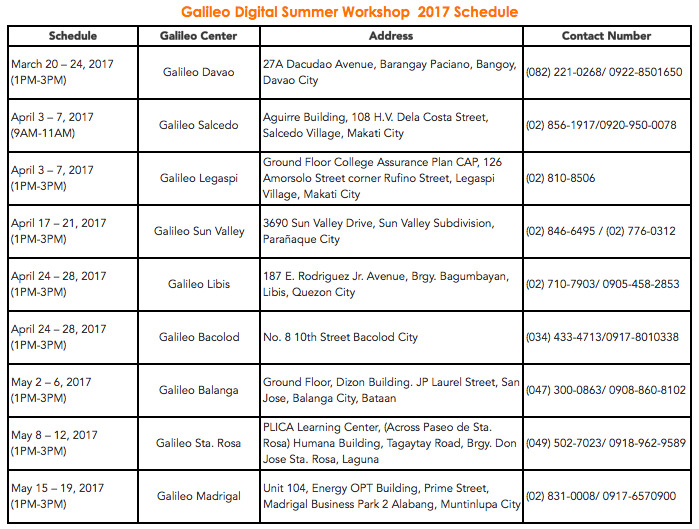 There will two (2) schedules: 10AM - 12NN and 2PM - 4PM.